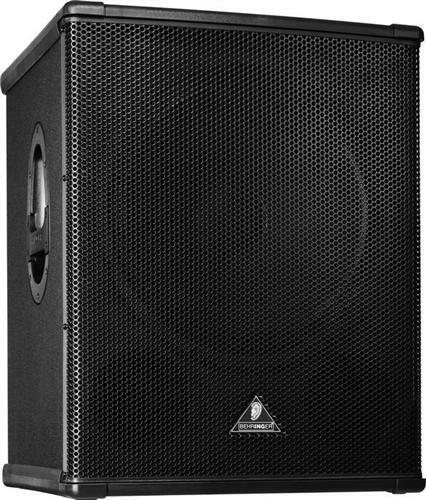 The Behringer B1800X Pro EUROLIVE is a Professional Series subwoofer that handles 800W/1,600W program/peak power @ 8 ohms for brawny bottom-end response. Add earth-shaking bass to your mix with the B1800X Pro EUROLIVE Sub. Ideal for giving impact to styles including hard rock, house, hip-hop, metal, reggae, or rap. The Behringer B1800X subwoofer also goes amazingly easy on your bank book with its solid price-to-performance ratio. The B1800X Pro's long-excursion 18" bass driver reproduces high sound pressure levels with maximum efficiency in the frequency range of 40 300Hz @ 8 ohms. This allows the B1800X PRO to achieve a tight and accurate bass response at intense output levels. A switchable crossover allows optional passive or bi-amp operation. 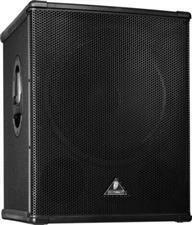 This rugged Behringer subwoofer is designed to keep up with your music, no matter how demanding the gig. Neutrik Speakon connectors.